We know that locating the desired product within your online store quickly and effortlessly is extremely important for conversion rates and sales. The search field can be a powerful tool. For instance, your customers may have heard of a brand, but are unsure of its exact name or perhaps they misspelled the brand. Either way, this should not be an obstacle between your customers and their purchases. One awesome development team called NinjaWidget has leveraged the flexibility of Ecwid APIs to develop CloudSearch, a new Ecwid extension NinjaWidget on to help clients find the products they seek. CloudSearch is an intelligent solution that offers suggestions to customers and directs them to their desired product — ultimately providing a better shopping experience. Wait, doesn’t Ecwid have its own tool for search? It does! The native Search Widget provides customers with the most relevant search results, and does so very quickly. But what if you want more? 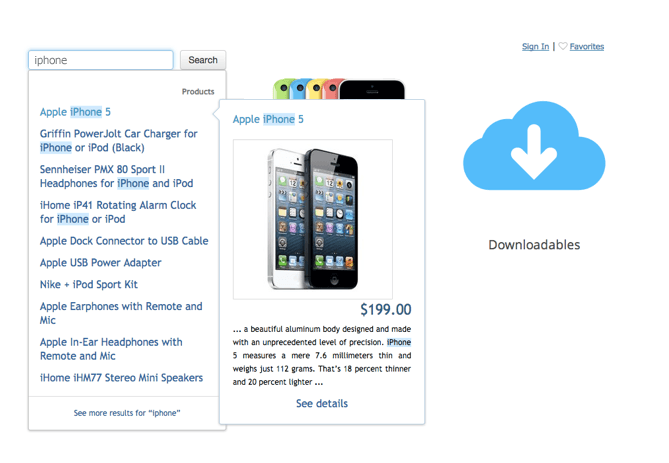 CloudSearch makes the search in your Ecwid store even more powerful. When a customer types in a product, CloudSearch not only provides real-time suggestions quickly and within the same page, but it also collects data on what products are most often searched for or popular queries that don’t return a result. Armed with this type of information, you can review your current product selection and determine what you can potentially add to drive more sales. 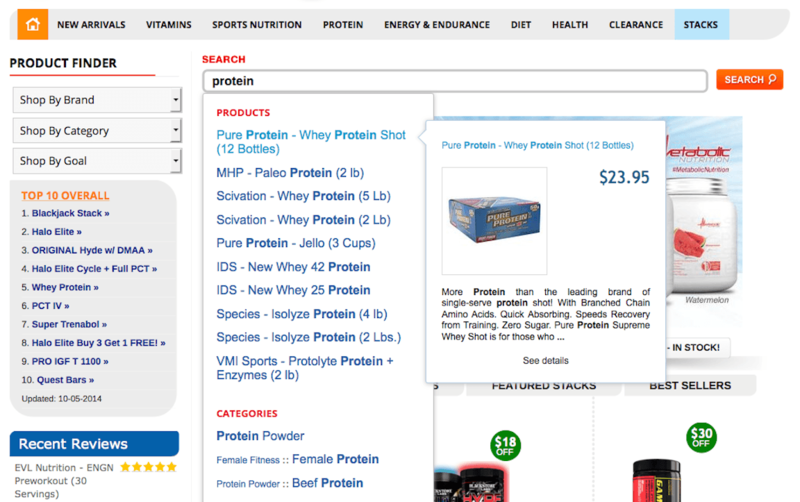 One merchant, NaturalBodyInc was among the first to try the CloudSearch extension. Since adding the extension to the store, the company has seen a 25% increase in sales. The company attributes their recent sales increase to their ability to give customers a way to easily and accurately navigate through their extensive catalog of thousands of products using CloudSearch. Just like Ecwid, CloudSearch has free and paid plans. Both Ecwid and CloudSearch offer unlimited search, while paid plans are priced on the number of products in the store. Try a fully functional version of CloudSearch in your Ecwid store for free — all of CloudSearch’s commercial plans have a 30 days trial period. If you don’t renew, the plan will automatically downgrade to a free account. To add the extension, sign up with CloudSearch using Facebook or Google, get an integration code and insert where your Ecwid store is installed. It’s that simple! Click here to get started. Ecwid has a passion for helping small businesses grow by offering an affordable, full-featured e-commerce solution. We are also a team of driven developers who constantly work on improving Ecwid by adding new features to help merchants give their customers the best shopping experience available. With more than 500,000 merchants, Ecwid continues to be the #1 choice of sellers from around the world each with unique business needs. By engaging with the global community of software developers, we can continue offer best-in-class tools for small businesses to succeed. If you’re looking for add-ons that would help your online business, then check out our Apps page for inspiration. If you have an extension or service of your own that you would like to introduce to the Ecwid community we’d love to hear it – let us know right here!